UV Power pride ourselves on running an ethical business. From when you first call us to make an enquiry, to the end of our warranty in 10 years (and beyond) we will endevour to act in the highest possible standards. All our staff are trained in the ethical procedure in our code of conduct, to ensure everything we do is based on openness, honesty and integrity. 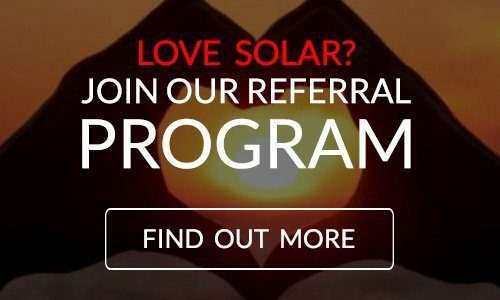 We abide by the industry code of conduct prescribed by the Clean Energy Council Approved Solar Retailer program, and are currently seeking accreditation for Clean Energy Council Approved retailer program. The code of conduct is as follows. (vi) if the consumer reasonably feels they have been subject to high-pressure sales tactics then this may also be considered to constitute such tactics. (e) a site-specific full system design including the proposed roof plan (sketch or diagram is acceptable), orientation and tilt, expected efficiency losses due to shading, and the system’s site-specific estimated energy yield, i.e. average daily performance estimate in kilowatt hours (kWh) for each month of solar generation. • The performance estimate must be based on data obtained from the CEC System Design Guidelines for Accredited Designers or other reputable source. It is acceptable for this section 2.1.6(e) to be provided as a deliverable of the contract, provided that: (i) this information is provided before the expiry of any cooling-off period; and (ii) where section 2.1.6(e) is provided as a deliverable of contract: 1. the initial contract must include a generic outline of the likely system performance estimate (to enable the consumer to make an informed purchase decision); and 2. the consumer must be entitled to a full refund upon request, if they do not consent to the site-specific full system design and performance estimate upon receipt of this information. (i) details about any after-sales services, guarantees and express warranties. The warranty must: (i) Include a statement that the consumer’s rights under the warranty sit alongside the consumer guarantees which are required under ACL and cannot be excluded. • Under ACL, consumers cannot sign away their consumer guarantee rights. Signatories must not put terms into their contracts to avoid their consumer guarantee obligations. (ii) The consumer’s cooling-off and termination rights. 2.1.20 When advertising an arrangement that provides an alternative to initial outright purchase (for example, a credit contract or a lease or power purchase agreement), the Signatory must comply with section 2.1 (and all other sections) of this Code. 2.1.21 The Code does not provide an exhaustive list of the notification obligations which apply to credit providers. Credit providers are required to meet obligations imposed by section 21C of the Privacy Act 1988 (Cth) and clause 4.1 of the Credit Reporting Privacy Code. 2.1.22, a Signatory may, for example, provide the third party provider with a pro forma to be completed by that provider and attached to the Signatory’s contracts, or attach the standard terms of the provider. 2.1.23 A Signatory must make reasonable enquiries as to whether the arrangement that is to be offered to a consumer (whether by the Signatory or by another business introduced to the consumer by the Signatory or Approved Retailer) is regulated by the National Consumer Credit Protection Act 2009 (Cth) (“the NCCP Act”), such that the provider of the arrangement would need to hold an Australian Credit Licence. If as a result of those enquiries, the Signatory believes that the arrangements will not be regulated by the NCCP Act, the Signatory must ensure that: (a) The relevant contract includes a provision substantially in the form set out in section 2.1.24 below ; and (b) the provision referred to in section 2.1.23(a) is signed by the consumer. Note: If an arrangement is a credit contract or a consumer lease that is regulated by the NCCP Act, the credit provider must hold an Australian Credit Licence. Any business that has a role in introducing the consumer to the credit provider (e.g. the Signatory or the Approved Retailer) may also need to hold a licence or be a credit representative of a licensee. It is a breach of the NCCP Act to engage in activities without holding a required licence or being a credit representative of a licensee. The obligations in this section are in addition to the legal obligations under the NCCP Act. A Signatory or Approved Retailer should obtain advice as to their obligations under the NCCP Act. CLEAN ENERGY COUNCIL – SOLAR RETAILER CODE OF CONDUCT OCTOBER 2015 15 2.1.24 “This arrangement is not regulated by the National Consumer Credit Protection Act 2009 (Cth) (“the NCCP Act”). As a result: (a) if you have a complaint about the arrangement, you may not have access to the services of an external dispute resolution scheme that has been approved by ASIC. This means that you may have to go to court to resolve a dispute with the provider. (b) if you have trouble paying the periodic payments required under the arrangement: (i) you may not have the right to ask the provider for a hardship variation to help you get through your financial difficulty. (ii) The provider may take action against you for non-payment without giving you an opportunity to remedy the default.” 2.1.25 Signatories will not offer an agreement which involves “third line forcing”, such as supplying solar panels on condition that the consumer purchase energy from another energy supplier, unless prior notification to, or authorisation from, the ACCC has been provided in accordance with the Competition and Consumer Act 2010. 2.2.1 For unsolicited sales, consumers must be given ten business days after they sign the contract to cancel the contract without penalty (the “cooling-off period”). 2.2.3 Once the consumer has signed the contract, any variations to the system design must be documented and signed off by the consumer prior to installation. 2.2.5 A Signatory must advise the consumer how to measure the performance of their system. The Signatory must specify, using at least one of the following methods, how energy output can be measured: (a) demonstration; (b) written instructions on how to read the inverter; or (c) provision of a measuring device that links back to the inverter. Energy output is a reasonable measure of performance; savings are not. 2.2.7 To facilitate connection to the grid, the Signatory must: (a) in accordance with section 2.1.18, prepare and submit within a reasonable timeframe all relevant documentation required by the electricity retailer and/or distributor for meter installation and connection of the system to the network; or (b) in accordance with section 2.1.17, signatories must clearly explain to the consumer the process for preparing and submitting the documentation required by the electricity retailer and/or distributor. CLEAN ENERGY COUNCIL – SOLAR RETAILER CODE OF CONDUCT OCTOBER 2015 17 2.2.8 The Signatory must explain to the consumer the process from system installation to network connection. The Signatory must: (a) notify the consumer when it has provided the relevant paperwork to the electricity retailer and/or distributor (if applicable) and how the paperwork was provided, for example, by email; (b) give the consumer expected timeframes for each step of the process; (c) advise the consumer who they should contact to follow up on progress; and (d) advise of any potential problems that may arise. 2.2.9 The Signatory must respond within a reasonable timeframe to any additional compliance requests from the distributor or electricity retailer (for example, resubmitting incorrect paperwork), and consult with the consumer if necessary. 2.2.10 A standard minimum retailer’s warranty period of five years1 on the operation and performance of the whole solar PV system, including workmanship and products, must be provided to the consumer by the Signatory. (a) That retailer’s warranty exists over and above the consumer’s rights under consumer guarantees in ACL. (b) The consumer is entitled to claim a remedy if the goods or services do not meet a consumer guarantee or retailer’s warranty. (i) The Signatory must implement warranty repairs or replacements within a reasonable timeframe. (ii) The consumer is not entitled to a remedy when the Signatory does not meet a consumer guarantee (statutory and retailer’s warranty) due to something: A. someone else said or did (excluding the Signatory’s agents or employees); or B. beyond human control that happened after the goods or services were supplied (for example, force majeure events, possums, extreme weather). Privacy 2.2.11 The Signatory has obligations under the Privacy Act 1988 (Cth) and the Spam Act 2003 (Cth) in relation to collection, use and disclosure of personal information. The Signatory must be aware of and comply with such legal obligations at all times. 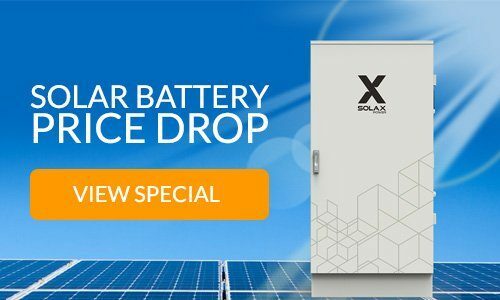 1 This warranty period is the minimum applicable to the service component of installation and all products (inverters, panels, electrical components etc.). Certain products, for example, panels and inverters, might have a warranty that exceeds five years. CLEAN ENERGY COUNCIL – SOLAR RETAILER CODE OF CONDUCT OCTOBER 2015 18 2.2.12 Subject to 2.1.11, a Signatory may use personal information collected from consumers: (a) for the purpose of the intended sale; and (b) for future marketing of its products and services that relate to the sale; or (c) where a consumer might otherwise reasonably expect to receive marketing material from the Signatory. 2.2.13 Signatories may (but are not required under this Code to do so) seek the consumer’s consent, by way of an opt-in clause in the contract or other appropriate document, to receive marketing material. 2.2.14 Regardless of whether a consumer consented to receiving marketing material pursuant to 2.2.13 above, Signatories must provide a simple means by which the consumer may easily request not to receive direct marketing communications, and include a prominent opt-out provision in each marketing communication, clearly telling consumers about the means for opting out of future marketing communications. 2.2.15 Signatories must not use consumers’ personal data for purposes other than those described in 2.2.12 above (for example, they must not provide the data to a third party, or use the data to promote a business other than that with which the consumer has a direct relationship) unless they have obtained express permission from the consumer. 2.2.16 This section sets out the minimum standard for use of customer data. Signatories can determine their own marketing practices, in accordance with all other provisions of this Code and pursuant to the Privacy Act 1988, beyond meeting this minimum standard. 2.3 Documentation 2.3.1 Section 2.3.2 contains a list of documents that the consumer must receive once the PV system is installed and who is responsible for providing that documentation. Signatories must ensure that the responsible parties below provide the consumer with this documentation. 2.3.3 Signatories are accountable for the work of their sub-contractors. In addition to the document requirements set out above, Signatories must be aware of any other documentation required by electricity distributors and regulators in their regions of operation. (a) The Renewable Energy Target (Renewable Energy (Electricity) Act 2000 and Renewable Energy (Electricity) (Charge) Act 2000) which is supported by the Renewable Energy (Electricity) Regulations 2001. (b) The Australian Government Do Not Call Registry (Do Not Call Register Act 2006) and associated telemarketing standards including permitted hours for contacting consumers. (c) Schedule 2 of the Competition and Consumer Act 2010, which replaced the Trade Practices Act 1974. 2.4.2 Signatories must be responsive to, and deal appropriately with, consumers at all times. (d) meet the standards the consumer would reasonably expect, including those set out in this section 2: General Rules and Standards. 2.4.4 If a consumer is dissatisfied with a product or service offered or provided, they can submit a complaint to the Signatory. A complaint may include, for example, any expression of dissatisfaction with a product or service offered or provided, with the sales process or salesperson, or with the complaints handling procedure itself. (g) Signatories must maintain appropriate record keeping of complaints and their outcomes. 2.4.16 Signatories must ensure that its employees and representatives, whether employed directly, subcontracted or selling or providing services on the company’s behalf, are aware of the Code and their responsibilities under the Code. 2.4.17 For all system designs and installations, Signatories must employ and contract CECaccredited designers/installers who abide by the CEC Accreditation Code of Conduct and Accreditation Terms and Conditions, or an equivalently trained accredited designer/installer as defined by the federal government in accordance with the Renewable Energy (Electricity) (Cth) Regulations 2001. 2.4.19 Signatories have given an undertaking that they agree to follow the Code as outlined in this document. 2.4.20 Signatories must comply with the Code General Rules and Standards (this section 2) when selling, designing and installing solar PV systems. 2.4.21 Signatories are also subject to the Code Administrator’s Complaints Procedure, the Code Review Panel Terms of Reference and the Brand Mark Guidelines. 2.4.22 Signatories must not act in any way that might bring the Code into disrepute. 2.4.23 Signatories must not make any vexatious or unfounded claims against another Signatory. CLEAN ENERGY COUNCIL – SOLAR RETAILER CODE OF CONDUCT OCTOBER 2015 24 2.4.24 Signatories must ensure that their employees, contractors, agents, and any other individuals or businesses acting on the Signatory’s behalf comply with the latest version of the Code. Signatories will be held responsible for all the actions of their employees, contractors, agents, and any other individuals or businesses acting on the Signatory’s behalf to the extent that such actions are governed by this Code..
2.4.25 The Code Administrator/Code Review Panel may need to modify both the Code and supporting documentation to reflect the changing industry and ensure the Code standards continue to meet the stated objectives of the Code. Changes required may be identified through regular reviews of the Code which will assess the Code’s effectiveness and possible areas for improvement (see section 3.8). Any major changes will be undertaken in consultation with the key stakeholders including signatories, industry, ACL regulators and consumer protection agencies. Signatories are obliged to comply with the most current version of these documents at all times. Code signatories will be notified by email of any changes to these documents, and will be given three months’ notice of any significant changes. 2.4.26 The Code Administrator/Code Review Panel may take action where there is any failure by a Signatory to meet their obligations under the Code. These circumstances include: (a) any conduct or activity which has or may bring the Code into disrepute; (b) failure to observe and conform to all relevant Australian Standards and all relevant CEC Accreditation Guidelines, and all applicable laws, ordinances, regulations and codes of practice; (c) failure to comply with the requirements for provision of information and data as outlined above in section 2.4: Information to be provided to the Code Administrator; (d) failure to pay any fees and charges associated with being a Signatory; (e) making any false or misleading declarations or statements to the CEC relating to the Code and the Signatory’s conduct; (f) where there are complaints of a serious nature made against the Signatory that are unresolved; (g) where the Signatory becomes bankrupt, insolvent, or their organisation is placed under administration; and (h) serious, wilful, systemic, repetitive non-compliance with the potential to impact a large number of consumers or to have a serious impact on a lesser number of consumers.